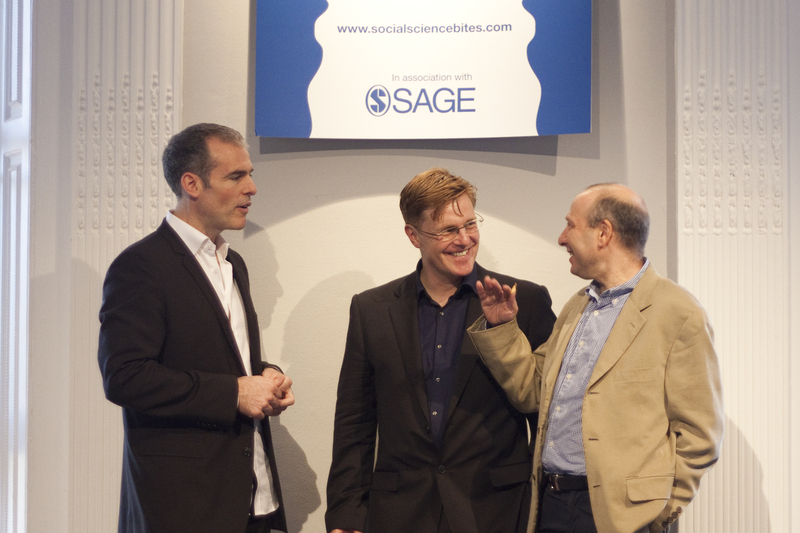 Last week, we hosted the official launch for Social Science Bites, the new series of podcasts of interviews with leading social scientists which we wrote a brief post about here. The event at the Institute of Contemporary Arts in London was attended by authors, friends and colleagues. Talking about our decision to launch the podcasts, Global Publishing Director Ziyad Marar spoke about SAGE’s commitment to the social sciences. From our support of the Academy of Social Science, to the launch of Socialsciencespace, through to this latest venture, he said that the social sciences are easily misunderstood, and there is confusion about the sheer value and contribution that they make. They tackle complex ‘wicked’ problems, and this new series helps to address some of these in an accessible way. He pointed to examples from the series, including Danny Dorling on inequality, and thanked Nigel and David for the important contribution they have made through their existing series, Philosophy Bites, in supporting new ways of learning. Nigel and David talked about their hopes and expectations from the series. Nigel reflected on how podcasts have enabled anyone to make high quality radio-style programmes like Social Science Bites, and the liberating impact that this has on education and learning: “The potential is immense,” said Nigel. You can find more photos from the launch here, and a video of Ziyad, Nigel and Dave speaking at the launch here. This entry was posted in SAGE Connection, SAGE news and tagged communication, David Edmonds, interviews, launch, Nigel Warburton, podcasts, research, social science, social science bites, Ziyad Marar. Bookmark the permalink.